These are words all far too commonly used by athletes at the end of their race. It might seem like a good idea to start a race really fast, by adopting a 'go out fast and hang on for dear life' approach, but you will regret this later on in the race as data analysis shows that 'fast starts make for slow finishes'. If you want to run your best race, then it is important to control your pace at the start and throughout. As incredibly competitive people (hence why we are athletes) the goal in racing is to cover the distance between the start and finish lines as quickly as possible. To achieve this goal, athletes must have a solid sense of the fastest pace they can sustain through the full race distance and the ability to make appropriate adjustments to their pace along the way based on how they feel. Learning to pace yourself is a key skill in any endurance event and while technology is now making it easier for us to monitor our effort using power output, speed and heart rate, you still must be able to judge your own pace by listening to your body. Many people make a big mistake of just training at the same speed every single workout. By just going out for a training session at the same pace every time will improve your fitness (slowly) but will not make you any faster. If you’re preparing for a race and you’re not doing any race-specific training, you won’t be able to run much faster than this pace on race day. What good is all that training if you haven’t got a pacing strategy and you cannot go any quicker? An interval training workout involves alternating periods of high-intensity effort with periods of low-intensity effort, which is called the recovery. For athletes, this would typically involve interspersing bouts of fast speeds with slower speeds. Regardless of the length of the interval, they need to be well paced in order to execute them properly – overshooting in the first few seconds of very short intervals or the first few minutes of longer ones leads to early fatigue! Hence, the recovery phase is a really important part of interval training. The stop-start pattern trains your body to recover quickly between bursts of faster speeds. Interval training is good for improving both aerobic (working with oxygen) and anaerobic (without oxygen) energy systems and is very effective at improving your VO2 Max and anaerobic threshold. What this means in the real world is that you will be able to work harder (faster pace) and then maintain this intensity for longer (greater distance at a faster speed). Despite the technical-sounding name, the concept behind “negative splits” is simple: complete the second half of a race faster than the first half. Olympic triathlon champion Gwen Jorgensen was renowned for her running abilities and one thing that stood her out uniquely from the others (apart from her 13 consecutive WTS series wins!) was how she negatively split almost every time she hit the run section over 10k. So why run an even or negative-split pace? Rather than fly off at lighting speed at the start of a race a negative split calls for you to be patient with your speed when you cross the start line and gradually pick up your pace as the race progresses. Running a negative split requires planning and training and will benefit you mentally and physically in long distance racing. 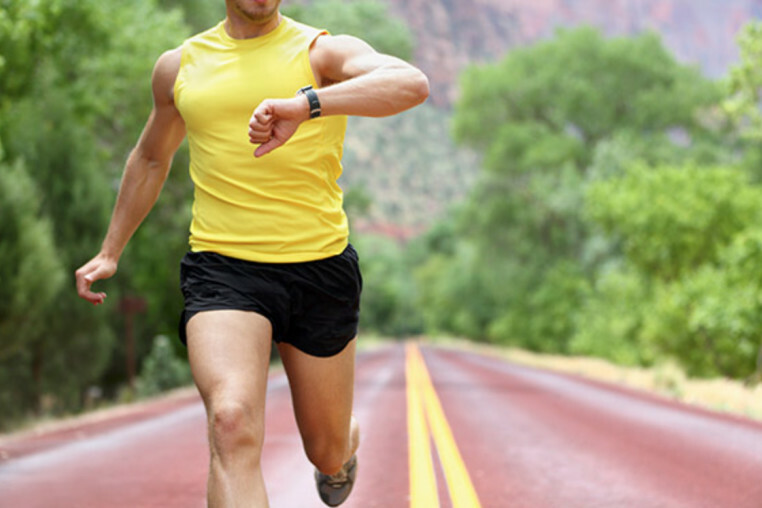 Pacing in this way can also help reduce muscle fatigue, which is the decline in ability of muscle to generate force. Muscular fatigue is inevitable in endurance raciing and often leads to a decline in performance although by keeping to a pacing strategy is one way to delay fatigue setting in. This is because by pacing, you can maintain the same speed with less effort or increase the speed without expending more effort. Understanding the mechanisms of fatigue is very complex and beyond the scope of this blog. We can assess athletes in the lab to determine physiological limiters that we work on in training to improve 'fitness' and understanding which when coupled together can delay the onset of muscular fatigue. Your training plan should include analysis of your data and the practice and application of pacing drills. You'll know your limits and you'll be able to make much better controlled efforts to maximize performance. At SunSport we use wearable tech such as PNOE and Moxy Monitor with our athletes to measure the fuel usage (carbohydrates and fats), power and heart rate. We delve deep into physiology to determine physiological limiters. Developing a sense of how to pace your race will help you conserve energy while running and allow you to spread it out over the whole race and ultimately improve your performance. If you want to look further into how you can perform better in your training as a whole get in contact with us.